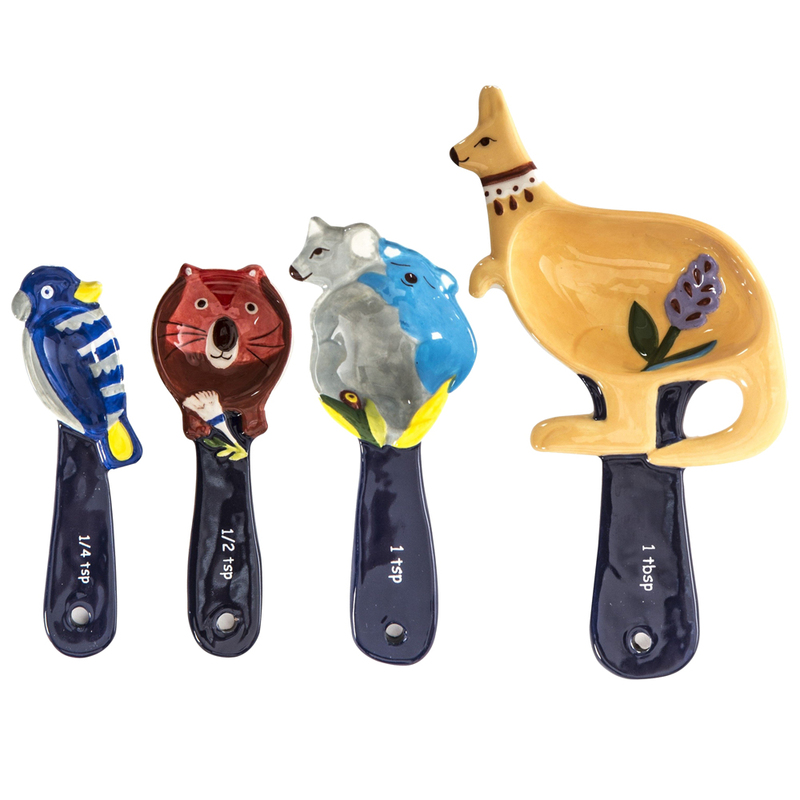 Portraying the warm and witty side of Australia this attractive Australiana Measuring Spoons Set, with illustrations by Andrea Smith say much more about the country's aesthetic than kitsch souvenirs. Australiana is a vehicle to showcase some of Australia’s favourite local artists. It’s their creative imagination and breathtaking talent that allows us to witness the beauty of Australia emerge through exquisite art…or even your basic household items. Each measuring spoon is decorated with a different creature including a koala with a sleeping baby on its back, a kangaroo, a wombat and a parrot. Perfect for helping to get your recipes right by measuring accurate quantities of ingredients. Dishwasher safe, however hand wash recommended. Presented as a set of four in an Australiana box. 1 TBSP - Kangaroo Measuring Cup. 1 TSP - Koala Measuring Cup. 1/2 TSP - Wombat Measuring Cup. 1/4 TSP - Parrot Measuring Cup.